Origo Spa Lounge offers you an escape into the secluded realm of tranquility. Step into a haven that enables you to revive your body, mind, and spirit. A dramatic change in the way reviews have been fully optimized resulted in 141 reviews at a 4.5-star rating. 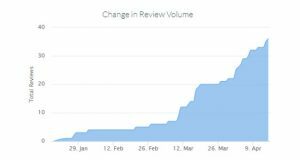 In fact, review traffic has increased over time to a maximum of 400 percent since the start of our Reputation Management campaign. Also, we have observed an average increase of 141 percent in review page visits. The graph shows that unique visitors for our Reputation Management campaigns has consistently increased with only a slight drop in the click-through rate. 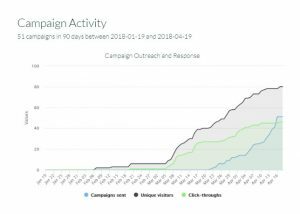 Our strategy involved crafting of newsletter implementing the use of proper content with top-notched design, running email campaigns and building the brand. In terms of building the company’s brand, we maximize the customer’s website functions, such as adding a dedicated review page, with its own dashboard and installing a multi-channel review widget. Here is a look at the custom card design and layout. 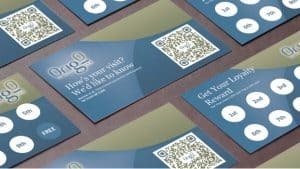 With the card is a unique QR code that allows its loyalty card to be machine readable.